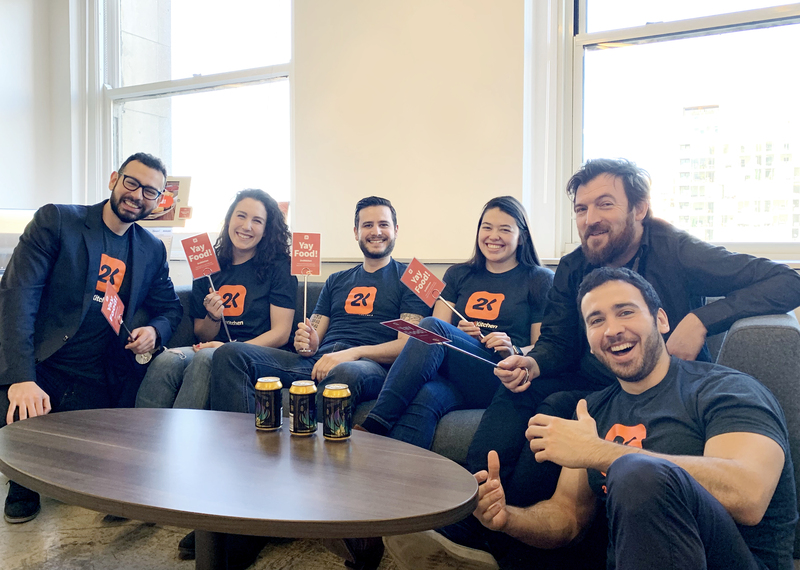 (CHICAGO; Feb. 12, 2019)—2ndKitchen, a service that pairs businesses with local restaurants to outsource their kitchen, has raised $1.35M in an oversubscribed round led by Hyde Park Venture Partners with participation from Great North Labs, Bragiel Brothers, Liquid2 Ventures, MATH Venture Partners, and M25. The service allows a kitchenless business such as a bar, brewery, or hotel to build a custom food menu from local restaurants, while allowing the restaurant another stream of revenue from the neighborhood—handled entirely through 2ndKitchen. 2ndKitchen’s story began when Nick Anastasiades, Jonathan Elron, and Arik Gaisler founded their first startup, a pizza delivery service in San Francisco. As they were looking for ways to reach customers, they noticed a huge segment of businesses that did not serve food who were all eager to partner with local pizzerias. This is when they had the idea: What if businesses used restaurants in their neighborhood to provide a full-service food menu for their customers, instead of building a kitchen themselves? The same team launched 2ndKitchen with a focus on bars, breweries, and hotels that want to serve food without the hassles of operating a kitchen. It can be challenging for bars today to make a profit from food when all expenses are factored in, which is why many opt to skip food offerings or allow guests to bring in outside food. More often than not, guests will simply leave the bar in search of food elsewhere, or avoid the business entirely. 2ndKitchen gives these businesses a new option to serve food by curating their own menu using local kitchens within walking or biking distance. Customers order from the in-store kiosk or from their phones via a mobile link, and food is delivered straight to their tables. 2ndKitchen handles the entire experience, from initial setup to ordering, fulfillment, and customer support. Bars are just the beginning for 2ndKitchen, which is receiving installation requests from hotels, building complexes, campuses, vacation rentals and co-working offices—a growth potential for any establishment that wants to add the value of local food offerings to its customers. 2ndKitchen, a Techstars Chicago company, enables businesses without a kitchen to serve food seamlessly using a custom menu from nearby restaurants. It’s a win-win-win where businesses add food to their offerings thus keeping guests in their establishments longer, customers enjoy great local food delivered to their seat, and restaurants expand their dining rooms across the neighborhood. Because of short distances and order bundling, food is delivered to customers’ seats hot and fast. 2ndKitchen handles orders, payment, fulfillment, and support. Get started today at www.2ndkitchen.com.